Saika Enterprise : 11-14 Nissan Juke Stainless Steel Single Tube Rear Bumper Guard [V-NI410P] - Contact for Price! 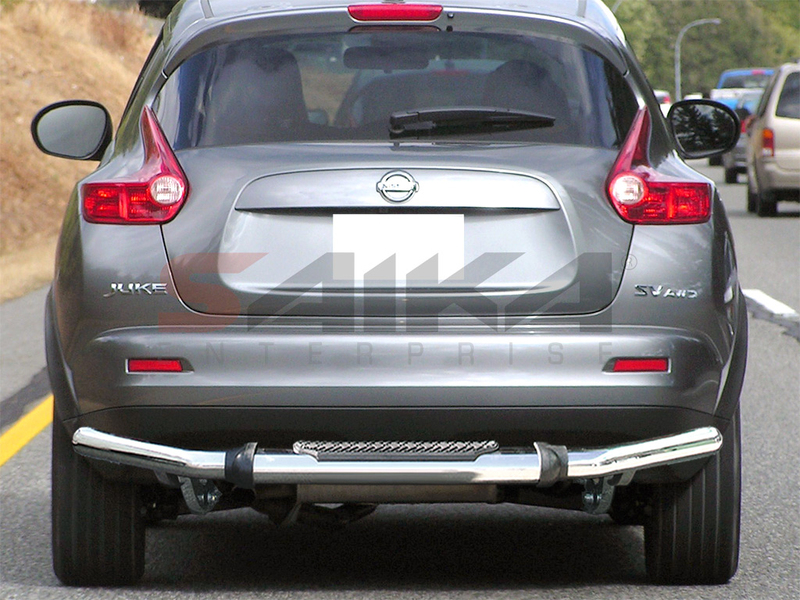 11-14 Nissan Juke Stainless Steel Single Tube Rear Bumper Guard Contact for Price! T304 Grade Stainless Steel for best resistance against rust and corrosion. Hand polished to a mirror chrome finish for a sparking clean look effect. Single Tube Design by Naxos®. Complete mounting hardware and brackets included. Installs straight to the chassis using the existing factory predrilled holes. Installation might require cutting through the plastic air dam (bumper skirt) to reach the factory chassis holes.